Shifting winds create tricky conditions for fire crews near Bruderheim, Alta. It's a typical sign of early spring in Alberta: the tinder-dry, brown grass that ignites with a spark and burns with a fury. Add heat and wind and a small fire quickly becomes something that is difficult to contain. It's a typical sign of early spring in Alberta: the tinder-dry, brown grass that ignites with a spark and burns with a fury. 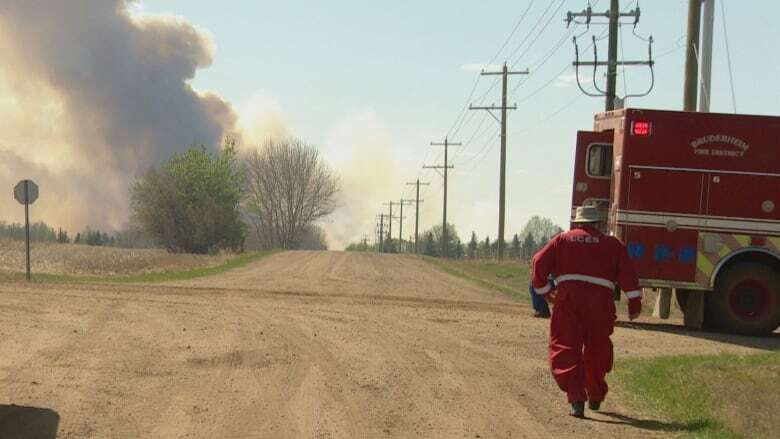 Add heat and wind, as was the case this weekend for fire crews battling two blazes near Bruderheim, Alta., and a small fire quickly becomes something that is difficult to contain. "With the wind picking up, it's starting to push the fire and feed oxygen to the fire, basically. And it's intensifying the fire," said Bob Scott, Strathcona County's deputy fire chief. "The warm temperatures aren't helping at all. And neither is the relative humidity as it drops." One of the Bruderheim-area fires, about 65-kilometres northeast of Edmonton, is in Strathcona County; the other falls within the boundaries of Lamont County. The two fires are being fought by crews from Bruderheim, Lamont County, Chipman, Fort Saskatchewan and Strathcona County. When Robyn Singleton, county manager in Lamont, saw a haze of smoke in the distance thickening and moving south, he knew that the Strathcona crews were in trouble. He says the fires have been changing direction with the wind, making them harder to fight, and posing a greater risk to emergency personnel. Late Sunday afternoon, RCMP released a statement that the two Bruderheim fires were both being held. Fire officials expect it will be days before the fires are completely out. Residents who fled their homes on Saturday, either voluntarily or under an evacuation order, have been advised to hold off returning due to the unpredictability of the winds, RCMP said. Fire investigators were on the scene Sunday, but the cause of the fires has yet to be determined. While this weekend saw a number of big wildfires on the northern Alberta landscape, a spokesman for Alberta Agriculture and Forestry says Alberta is experiencing an average number of wildfires. 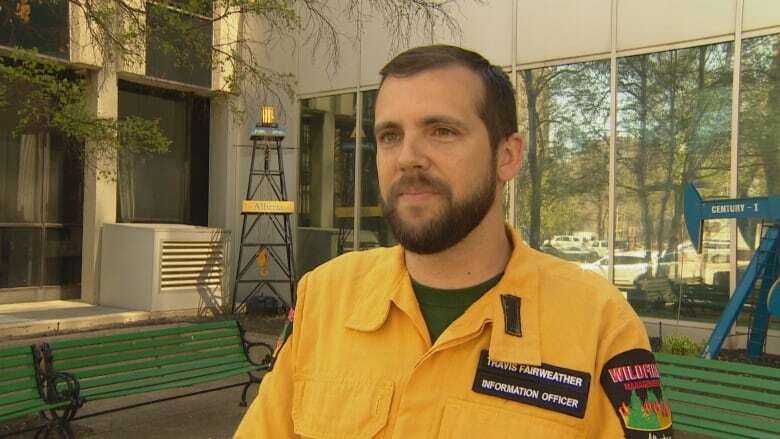 "This is the time of year we start to see a lot of these grass fires," said Travis Fairweather, a wildfire information officer. The bare patches of dry, dead grass left behind by the melting snow can ignite easily and the fires can spread quickly, he said. "Until we can start to see the grass turning green, and leaves on the trees turning green, this grass certainly provides a high hazard for us this time of year." Within Alberta's forest protection area, there have been 250 wildfires so far this year. Fairweather said this is a bit high from last year's 200 but falls well within the five-year average of 300 for this time of year. "This is sort of normal for this time of year." That number does not include fires like the ones in the Bruderheim area, which are being fought by county and municipality fire crews. 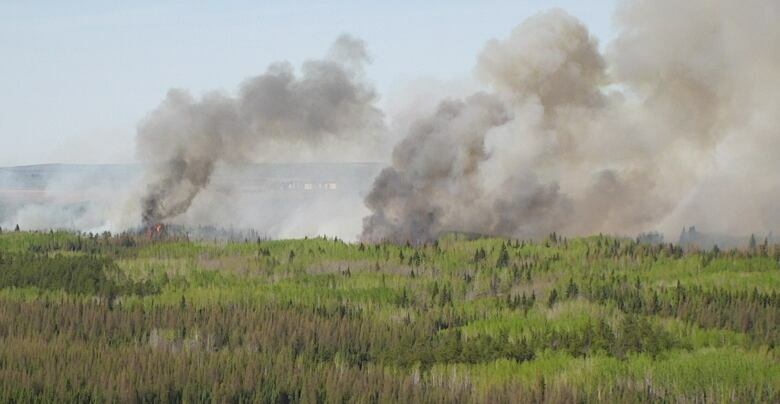 Westlock County: Crews battling out-of-control wildfire near Vimy, Alta. In some cases, provincial fire crews are asked to assist the local crews with blazes that are outside the provincial forest protection area, as is currently the case in Cold Lake and Westlock County. Fairweather said during this critical time, it is extra important for people to be extra cautious with outdoor fires. Many Alberta municipalities and counties have fire ban or restrictions in place, which can be seen at albertafirebans.ca. "We start seeing this dead and dry grass and just a little bit of a spark can get that fire going so if you're going to have a campfire ... we just ask you to keep it monitored at all times, don't leave it unattended. "When you do go to put that fire out, soak it, stir it, soak it again, make sure those ashes are cool to the touch before you leave that area." He also noted that off-highway vehicles have hot-spots that can inadvertently start a fire. "Check behind you and make sure that nothing is falling off and simmering in that grass."